Contemporary indie rock band FILMSPEED – who currently reside in Orange County, California, yet originally hail from Detroit Rock City, USA – return with a new stand alone single. 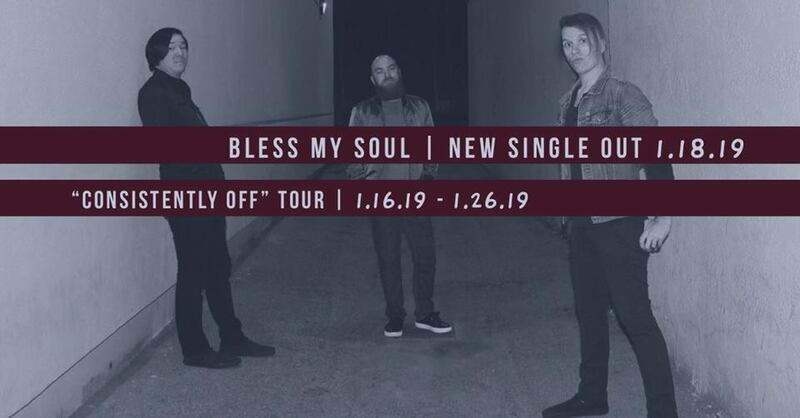 “Bless My Soul” is a hard rocking, high energy song with electrifying swagger, soulful undercurrents, and a dash or two of punk attitude for flavoring. The single is accompanied by a lyric video containing live performance inserts featuring the band: Craig Broomba (vocals, guitar), Nick Stout (bass, backing vocals), and Oliver Dobrian (drums, backing vocals). FILMSPEED are currently wrapping up their “Consistently Off” Tour, you can find the remaining dates HERE.